Hey guys, my name is Steve, currently live in Toronto, Canada. I'm new to the forum, seen some forums on here that caught my eye on DIY's. Thought I'd join to get some ideas, tips and feedback. Welcome to the forum, looks like a clean body. Any questions just ask. What should I do in the replacing either with oem or some sort of sportier all year round good suspension for Canadian winters? I'd recommend skunk2 sports series shocks and lowering springs. It's not a coil over kit for race cars or anything, just a sportier ride with a little lower aggressive stance. Progressive rate springs that are softer, until you push the limits and then they get firm. I've never owned this setup, but know people that have and was very impressed. Plus the price isn't bad for this setup, probably cheaper then even most after market "OEM" replacements you'd buy thru a garage, and definitely cheaper then Honda parts. I have been using their other suspension parts on my cars for years and never had a problem due to canadian weather. Thanks for the advice. I'll surely be looking into these today! 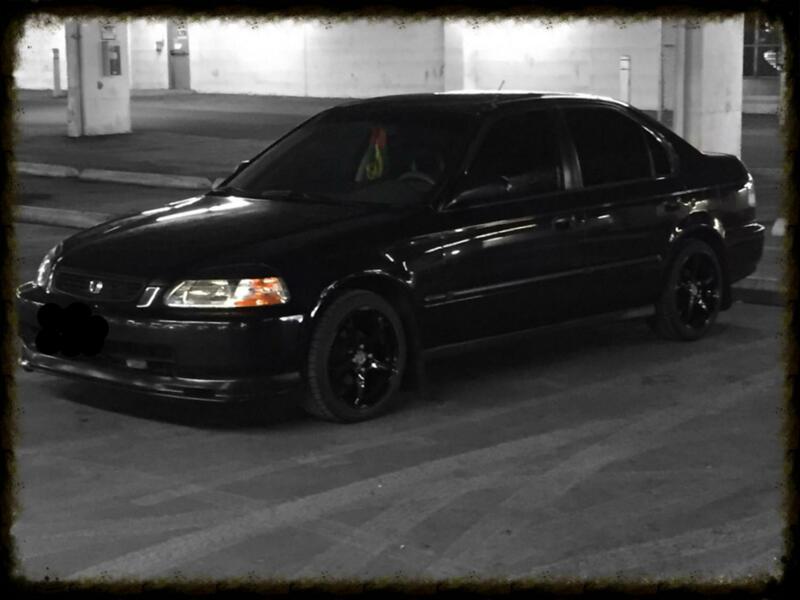 Anyone know any mature car / Honda enthusiast clubs in the GTA? Nothing like ertefa, would love to go minus the stupid idiots who try to show off and get cops involved. Please let me know would love to join.. Especially and clubs. I don't think such a thing exists. I'd say maybe the old classic car meets on saturdays at the canadian tire on the queensway and 427 but I'm pretty sure its guys from that meet that show up at all the "JDM" meets and act like morons until the cops show up and say "Hey man nice Camaro, the rest of you line up and get ready to have your exhaust checked"